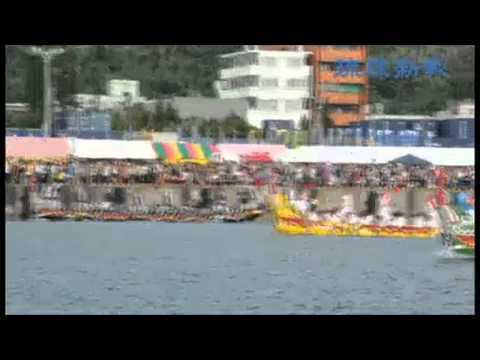 Many families and tourists visited Naha Port on May 5, the final day of the Naha Harii 2013 dragon boat race. It was slightly overcast in the morning, but the skies became clear in the afternoon and overall the three-day event was blessed with fine weather. The Naha team won the main race. People enjoyed the races, a variety of stage performances and fireworks. According to the organizers, about 98,000 people visited the venue on the final day and the total number of participants was about 204,000 for the three days. The winner of the Open Division A (men’s) was the U.S. Army’s team, the Torii Knights, and Okinawa City Fire Station team won Division B.